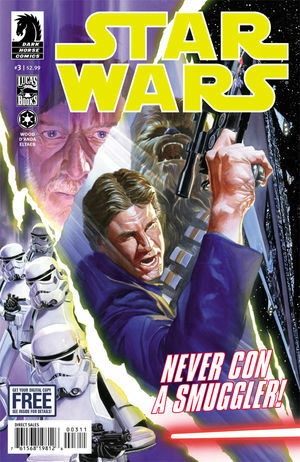 The new Star Wars series – (just Star Wars) has been great to read and enjoy since the first issue. The third issue is no exception to that trend. This is Classic era at its finest – in that time just after Episode IV (A New Hope) when we didn’t know that Leia was Luke’s sister yet. In this issue we get a little ‘distraction’ or is it jealousy? with a new Rebel pilot that is getting quite friendly with Luke. 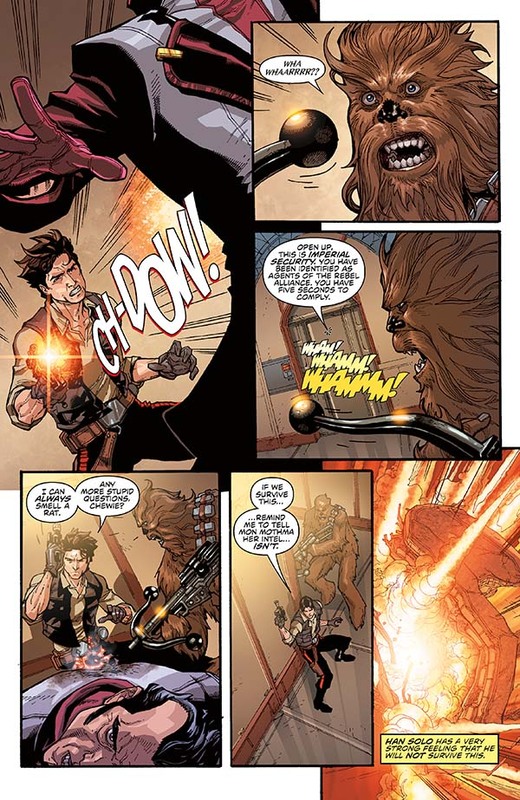 Also cool to see Han in his early days as a Rebel agent – on Coruscant no less. Enjoyable engaging story – thoughtful and flowing art throughout – an overall joy to read.